Mara Zepeda creates space. 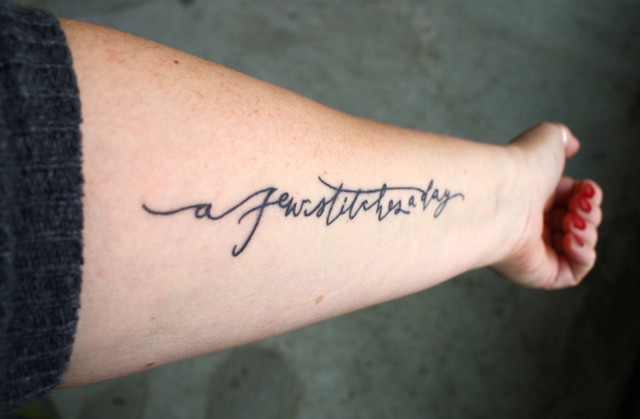 Balancing life as a woman in tech and a calligrapher and designer of tattoos. Her dual roles often intersect—one offsetting the other in thoughtful consideration. Mara takes chances. Her discipline in the traditions of letterforms, fused with her philanthropic way of reasoning helped her to start Switchboard, (a community platform for sharing) with co-founder Sean Lerner. I admire people like Mara and am inspired by her creative gusto. She creates beautiful calligraphy under the name Neither Snow and often moonlights for NPR including: Morning Edition, Planet Money, and Marketplace. She’s passionate about building community whether through the art of tattoos or as the CEO of a start-up. I found her story fitting to wrap up this quarter's theme, Polarize. She studied in a scriptorium at Reed College. It was founded in 1930 by Lloyd Reynolds, a premier calligrapher of the Northwest. Later the program was taken over by Robert Pallandino, a Trappist monk whom Steve Jobs studied under. People often times reference the commencement speech Job's gave at Stanford, talking about the MAC and his inspiration with typography so early, and the calligraphy courses he took with Pallandino. She tells me she was a really bad calligrapher having trouble with perfecting traditional italic and Copperplate script. It’s hard to believe when you see her work. In 2009 contemporary calligraphy began to surge and with it Zepeda began expressing her own style and personality through the letterforms she was learning. She started her first business and created a niche for herself in the wedding industry. When her husband began to travel more she cut down on the use of paper and went almost entirely digital. Today she designs commercial identities and editorial but the majority of her work is commissioned tattoos. Part of the requirement in the process of tattoo work is to have the clients send photos and write about what inspires them to get the tattoo, and then she features the stories on her blog. "It becomes a really nice narrative resolution that highlights them. People get tattoos for incredible reasons, like a child passed away, or they got a divorce, or survived cancer. Every single reason is crazy meaningful." Today, Zepeda helps to run Switchboard and devotes one day a week towards her lettering practice. Switchboard was bootstrapped in part from the revenue of this, and is probably the only startup to ever be funded with calligraphic forms. “There’s a pattern that has emerged. People will write posts like letters, very often they start by saying, Hey everyone! There’s a sense of correspondence,which was brought over from calligraphy unintentionally. When you address someone as though they are a correspondent you show them a level of respect and intentionality, that’s really different from a tweet or posting on someone's wall. This notion of correspondence and respect, and taking a beat to address a community in this almost formal way is not something we require. However, it’s remarkable to see so many of the post start out with Dear Community, it’s so nice. Other similarities is in the act of gratitude. We all know how much we love getting hand written letters in the mail...something that has been lost in today’s digital world. Switchboard encourages this action as well. Once an ask has been fulfilled there is an opportunity to say thank you, and an opportunity to be mindful about the community and your audience. In July Switchboard turns 2. It’s a startup that is quality driven before quantity driven and a magnet for underserved communities in technology. Their clients are municipalities, education, veterans, farmers, and even design communities to name a few. I look forward to seeing it evolve and the communities grow. If you think you don’t know Carson Ellis, you might be wrong. She illustrated the Wildwood Chronicles. 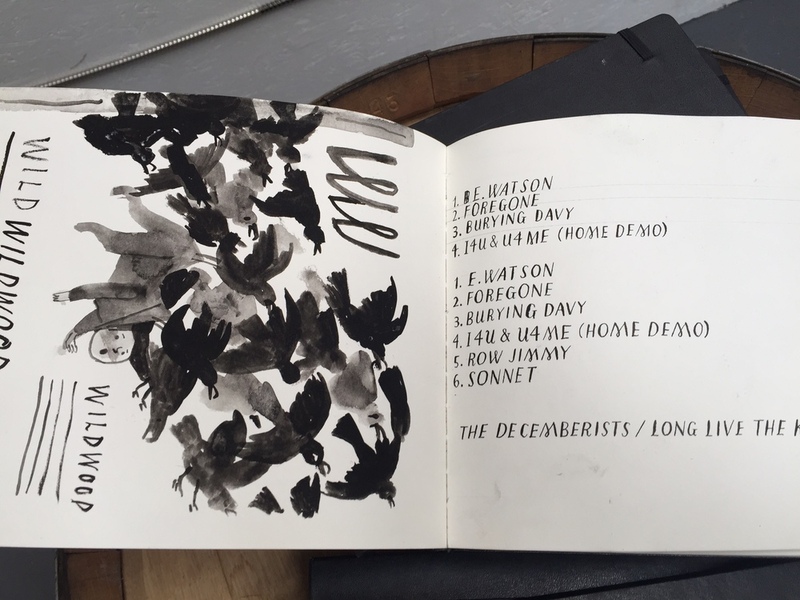 She does all of the art for The Decemberists. 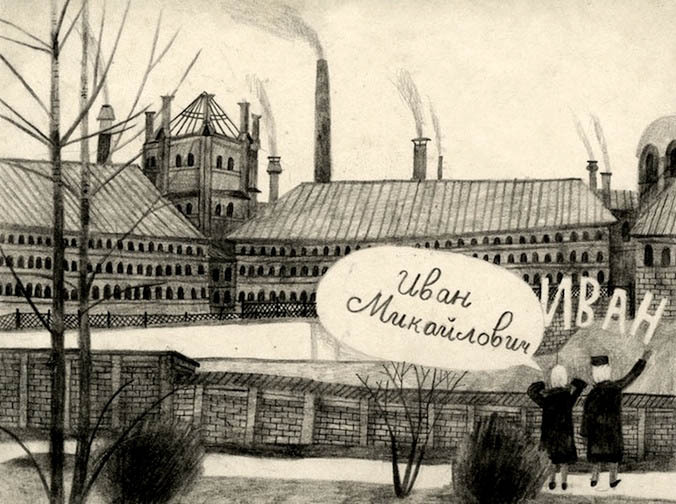 She has had editorial illustrations in The New Yorker, and The New York Times Book Review. She painted that rad mural in St. Johns. I’m a big fan. It was bizarre to stand in her driveway and talk about how Beyoncé is overrated. Carson’s work captures what Portland feels like better than anything else I’ve seen. And I don’t mean quirky Portland, or in her words, “twee and precious” Portland, like art you might see at a street fair or in New Seasons, but natural Portland. The trees. Our type of cloud. And something harder to pinpoint. Something energetic. If you want to know what it feels like to be in Portland, flip through Wildwood. It’s so special I could cry. Illustrations from the Wildwood Chronicles. 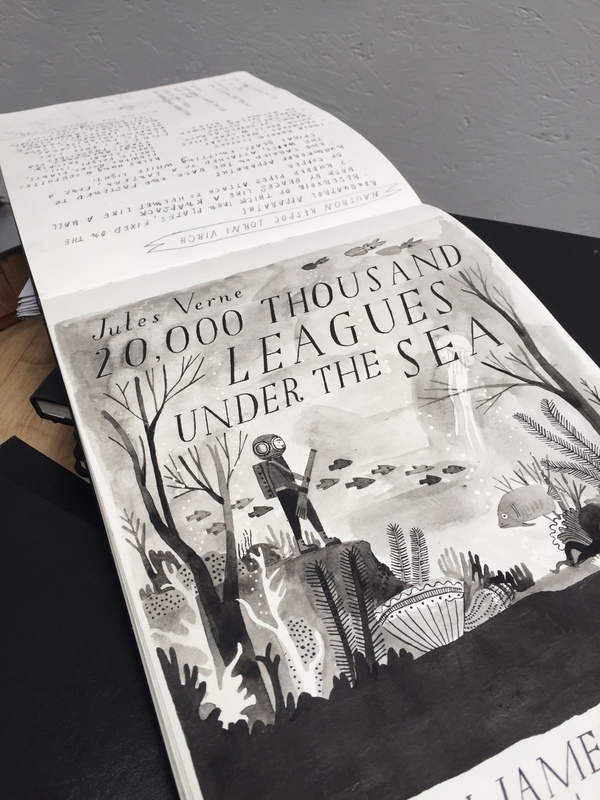 Written by Colin Meloy and illustrated by Carson Ellis. Carson grew up on the grounds of a dilapidated estate called Dellwood in upstate New York. “The actual mansion was in ruins,” she said. “There was a caretaker’s house with a grumpy old man who lived there. We lived in the carriage house, which was sort of like a barn. But my parents were hippies and it was a super tricked out hippie pad.” The place is gone now. Bought by developers and dozed for condos that were never completed. But the experience meant so much to her that she emails with a local historian. (I imagine she’ll make a book about it someday.) Carson spent a lot of time chasing the pony across the street, and a lot of time drawing. “I had an art practice from the time I was an elementary school kid, but I do think that I was sort of a crappy artist most of that time,” she said. She studied oil painting at the University of Montana. She wanted to study illustration, but it wasn’t offered. College was where she met her husband, Colin Meloy. She worked on xerox flyers for his band, and they were roommates. When she graduated she moved around, waitressing and making art. “I know now looking back at my post-college portfolio that I was unhireable,” Carson said. wild dogs from "Wildwood Imperium"
Carson lives on a farm outside Portland with her husband and their two boys - Hank and Milo. (Milo's middle name is Cannonball!) They've got all kinds of pets - llamas, chickens, goats, a cat. And there's a horse next door. It's a dreamy place. Just trying to find her studio I wandered into two crazy buildings - a sort of tractor barn filled with guitars, and a silo. She has vague plans to fill her farm with giant folk art, but for now she's working on another picture book she wrote, and some unnamed projects with Colin. "I don't think I have anything coming up that's any better than what I've had going on, but I think I've had it good," she said.